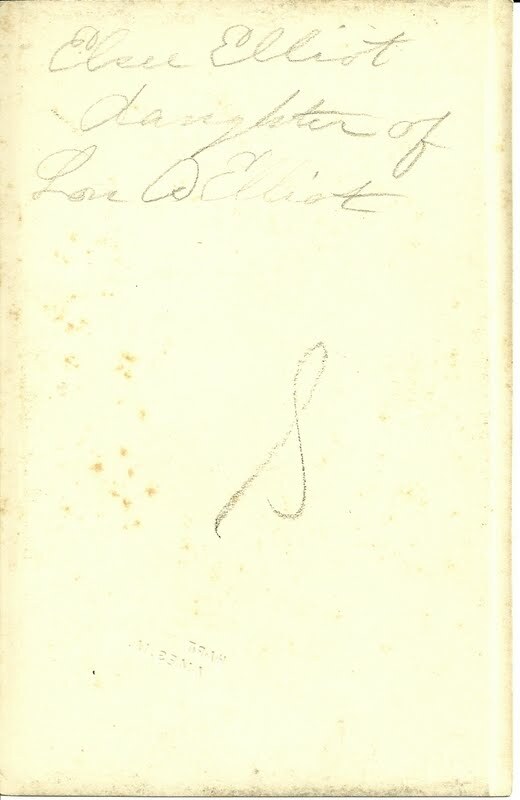 Photograph of a young woman identified as Elsie Elliot Ramsey and on the reverse as "Elsie Elliot, daughter of Lou Elliot". The photograph was taken by the Hart studio of Ames, Iowa. This photograph was initially grouped in a post with a photograph of siblings James Dalton Elliot and Miriam Velma Elliott of Lakeland, Florida, because I found them together. I'm not sure how they are related, or if the name Elliott/Elliot is merely circumstantial. 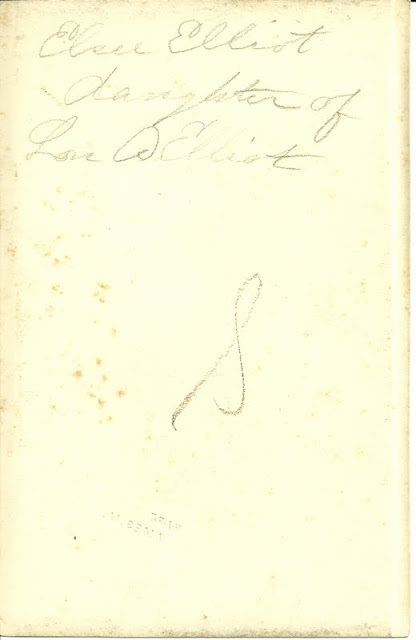 The information on Elsie Elliot below was provided by a reader in the comments of the other post. 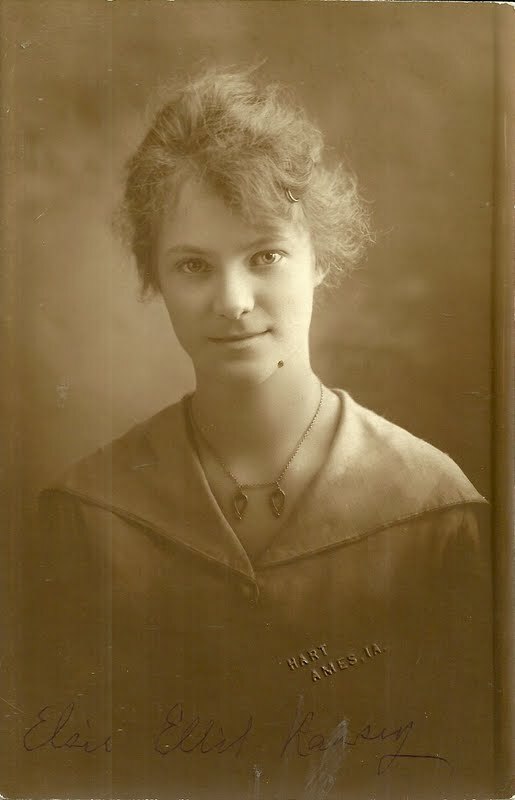 Elsie Elliot was born June 19, 1900 at Ames, Iowa, daughter of Llewellyn Ansel Elliot, "Lew", and Effie May (Roseburrough) Elliot, whose roots went back to Canada and colonial America. Elsie lived with her parents at Ames, Iowa, and worked as a stenographer for many years before marrying a Mr. Ramsey in 1943. They lived at Winston-Salem, North Carolina; in the final years of his life, Elsie's father lived with her at Winston-Salem. Elsie died in 1991. If you have corrections/and or additions to the information above, please leave a comment or contact me directly.